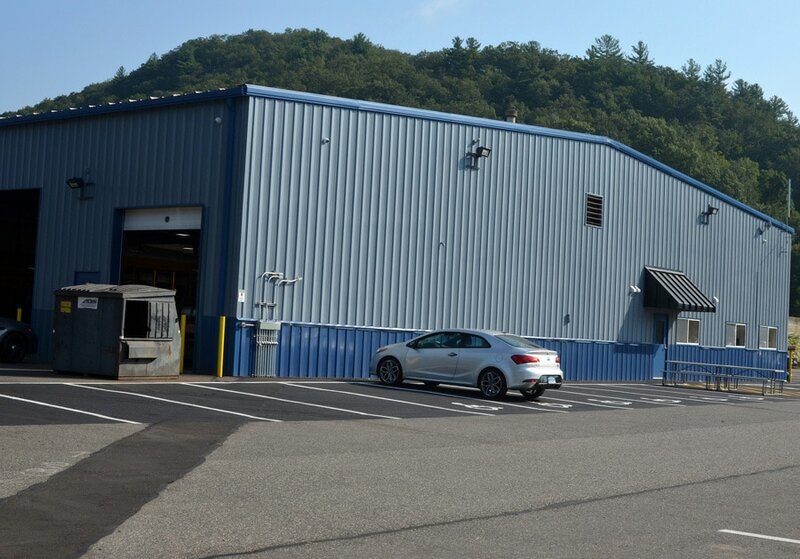 SEYMOUR – The program to renovate and upgrade All-Star Transportation facilities continued to make progress over the summer and early fall with the terminal in Seymour receiving a major facelift. On the exterior, the Seymour terminal metal panels were replaced and the entire building got a new coat of paint. A new sign also was installed. 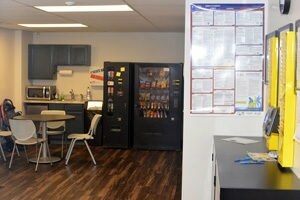 On the interior, a new floor was installed in the shop break room, while the offices for the manager and support staff received new flooring and other enhancements. In the main lobby, restrooms were renovated and the space was enlarged to increase the comfort for staff and visitors. Also this summer, a new propane tanked was installed to serve the terminal’s fleet of propane buses. Last year, the New Milford terminal was renovated, while a new terminal was constructed in Monroe. In previous years, the terminals in Burlington and Washington were renovated to provide new modern work spaces. The new Burlington terminal opened in January 2015, while the renovated Washington terminal opened in the fall of that same year.